Get the Funk Out! : 10/9/17 - Spiritual healer, Dani Antman, shares her story of spiritual discovery in new memoir, ‘Wired for God.’ Antman joined host Janeane Bernstein at 9:00am pst! 10/9/17 - Spiritual healer, Dani Antman, shares her story of spiritual discovery in new memoir, ‘Wired for God.’ Antman joined host Janeane Bernstein at 9:00am pst! Dani Antman, an internationally known energy healer in Santa Barbara, CA where she treats people to create optimal wellness and increase their success and fulfillment in life. 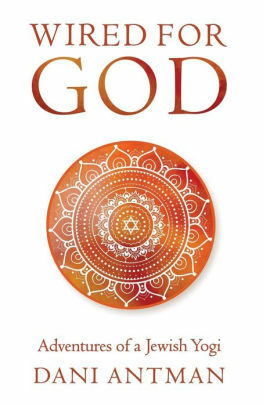 Dani shares her search for a spiritual path through the three traditions of Yogic Science, Kundalini Science, and Kabbalah in her new book, "Wired for God" (Turning Stone Press, August 2017). Dani's detailed journey of finding a new perspective on her childhood faith tradition, Judaism, and developing an interfaith spirituality provides a sense of hope and insight for those searching for their own spiritual path. When Dani Antman set out to search for a spiritual path, she never imagined she would end up where she started. In her compelling new memoir, “Wired for God: Adventures of a Jewish Yogi” (Turning Stone Press, August 2017), Antman describes her inter-spiritual journey, leading her back to Judaism. Resonating with anyone who has felt the need to search for their own spirituality, “Wired for God” pulls together concepts from Eastern faiths and Judaism to create a beautiful picture of inter-spiritual discovery. Just as Antman paves her own route to spiritual truth, she paves the way for readers to find hope that they, too, can find their spiritual home. ​When the Judaism of her childhood doesn’t satisfy Dani Antman’s yearning for spiritual awakening, she embarks on a quest for a spiritual path. Dani finds herself immersed in the world of yoga, energy healing, and Kabbalah but her journey of inner transformation has only just begun. A healing crisis, misplaced trust and a failed marriage, intensify her desire for a teacher who can lead her to self-realization. Her prayers are answered in the form of a realized adept, a Swami from the faraway shores of Rishikesh, India, who initiates her in his lineage of Kundalini Science, the study of the Divine force within every human being that is the initiator of spiritual growth. redirection and completion of a challenging Kundalini process related to her Jewish past. Paradoxically, with the completion of her process she experiences a triumphant return to the religion of her birth. “Wired for God” is the candid and compelling memoir of Dani Antman’s spiritual journey from mystical Judaism through Kundalini Science and back again, told in a conversational and informal style. Her story gives inspiration and hope to all sincere seekers looking to make real spiritual progress and find their own unique spiritual path. 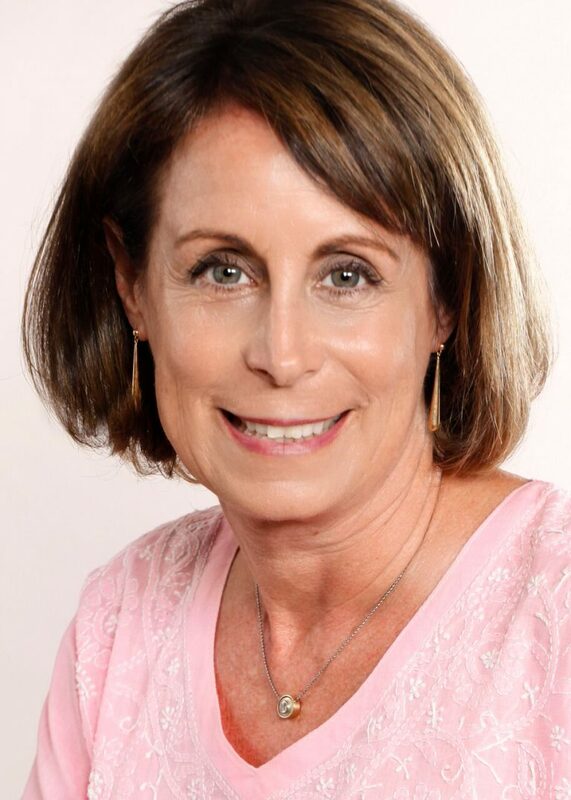 As an internationally known energy healer and interfaith minister in Santa Barbara, CA, Dani Antman has been at the forefront of energy medicine and healing since 1992, when she graduated from the Barbara Brennan School of Healing. She has also completed over five years of training at the Somatic Experiencing Trauma Institute, to support the healing of trauma and PTSD. Dani was a senior teacher at The School for Nondual Healing and Awakening for over nine years, and has led workshops at the Esalen Institute, La Casa de Maria, and The Lionheart Institute for Transpersonal Energy Healing. She also is a spiritual guide, helping others to navigate their spiritual path. Dani is available for long distance Skype or phone sessions, and in-person sessions in Santa Barbara, CA. As a healer I help you transform immobility and despair in to passion. I believe that our most challenging situations in life are a portal to growth and transformation. The work of inner healing actually is the spiritual path! If you have ever experienced a crisis in your life, such as divorce, trauma, illness and loss of a loved one, then you know how hard it is to move forward. You feel overwhelmed and are unable to get off the couch, so to speak. An energy healing will support a fundamental change in your consciousness. It transforms the root cause of a problem so that you can adopt a new way of being in the world. After a session, you may feel more grounded, more connected to your true self and more excitement about being in life. Motivation and inspiration return and you regain the sense of your inner divine spark! The work of inner healing actually is the spiritual path!